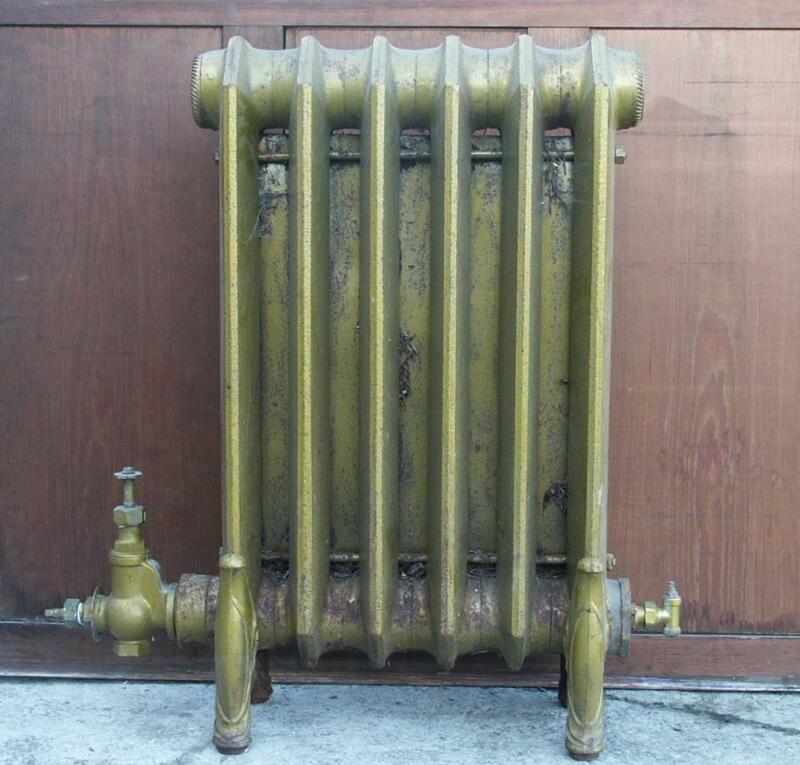 A good looking cast iron radiator with cut corners and (loose) decorative stands.Painted gold (looks green in the pictures) 30.125"/765mm high x 19"/480mm wide x 8.75"/222mm max depth. 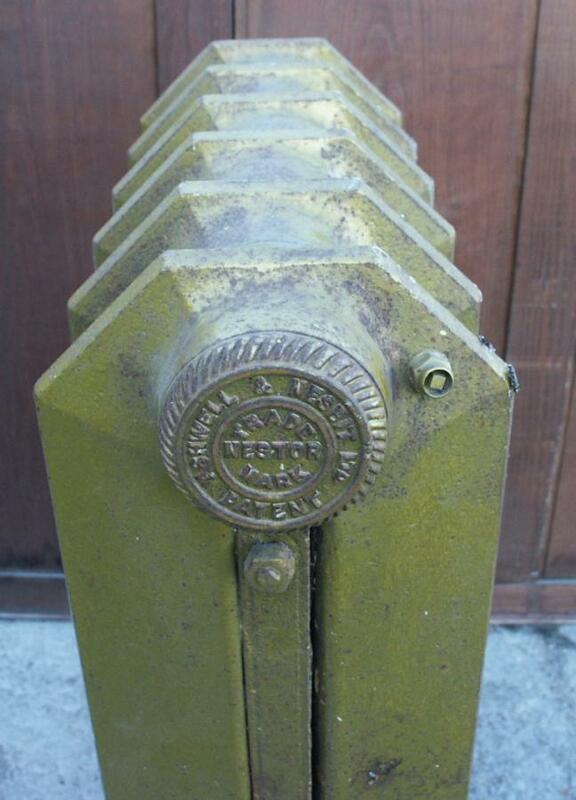 (Width is measured to the edge of the radiator itself,not including any bushes,stops,valves etc) I have three radiators like this with the stands .These could be used with little cast legs (available) or blocks. 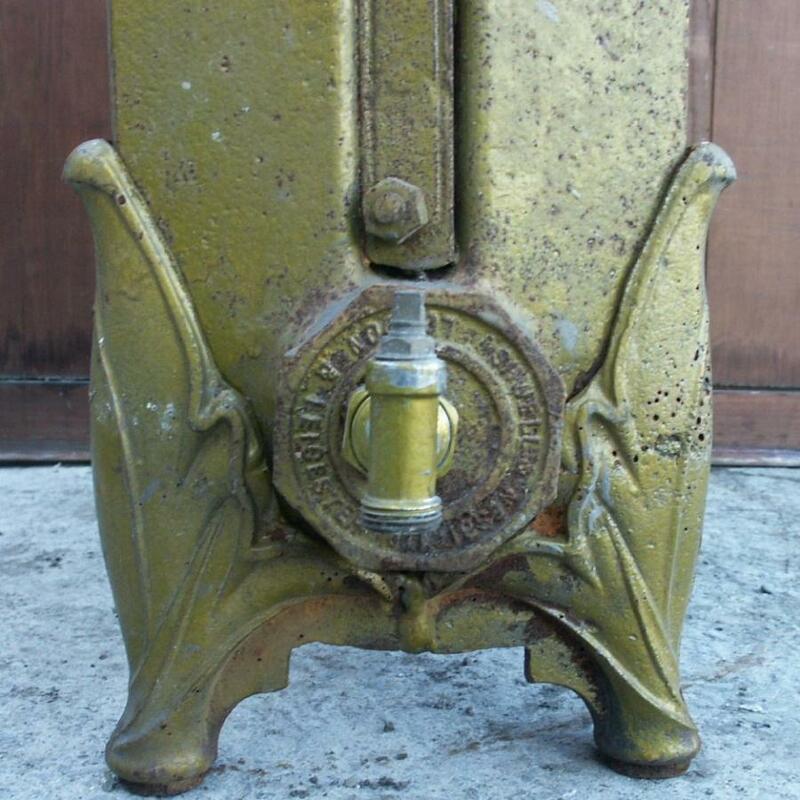 Dimensions of further two: 30.25"/765mm high x 36.5"/930mm wide x 7.5"/185mm x 2 of (12 sections each) I have a large stock of cast iron radiators in most styles and sizes and am happy to quote competitively.They can be sold singly or in sets "as is" or fully refurbished or partly refurbished to customers requirements.The vast majority of my radiator stock are dismantled and transported by myself from recently working systems.All are original / second hand. Please see other website entries or contact me. I can arrange transport by pallet in the uk.